I’m usually in charge of the pies and corn pudding and this year is no exception. My daughter helped me with the pies this year and she added her artistic touch. 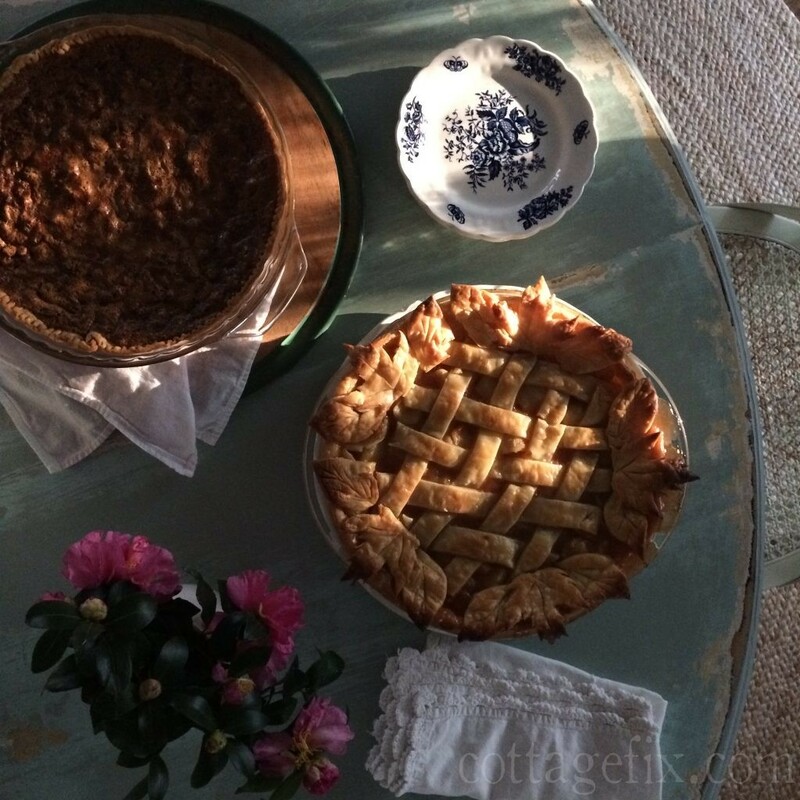 She hand cut leaves out of pie crust for the edge of the apple pie with the lattice top. And I made The Pioneer Woman pecan pie recipe. This entry was posted in seasonal decor on November 24, 2016 by sally. Yummy, it looks delicious and so pretty too! I hope you and your family had a wonderful turkey day!!! Wow! I’m impressed with the beautiful presentation of the apple pie! I’ve never made one like that before. I’m sure it was good. I bet the pecan pie you made was delicious too. Hope you had a wonderful Thanksgiving! cottage fix Friday flowers from that more than fabulous day!